It’s only been two years since New York pop punkers Patent Pending released their hit album ‘Brighter’ but they’re already pumping out more amazing tracks. Their latest EP (which is their twelfth EP release from date) ‘Armageddon’ gives fans four brand new tracks as well as title track ‘Brighter’ from their previous album. 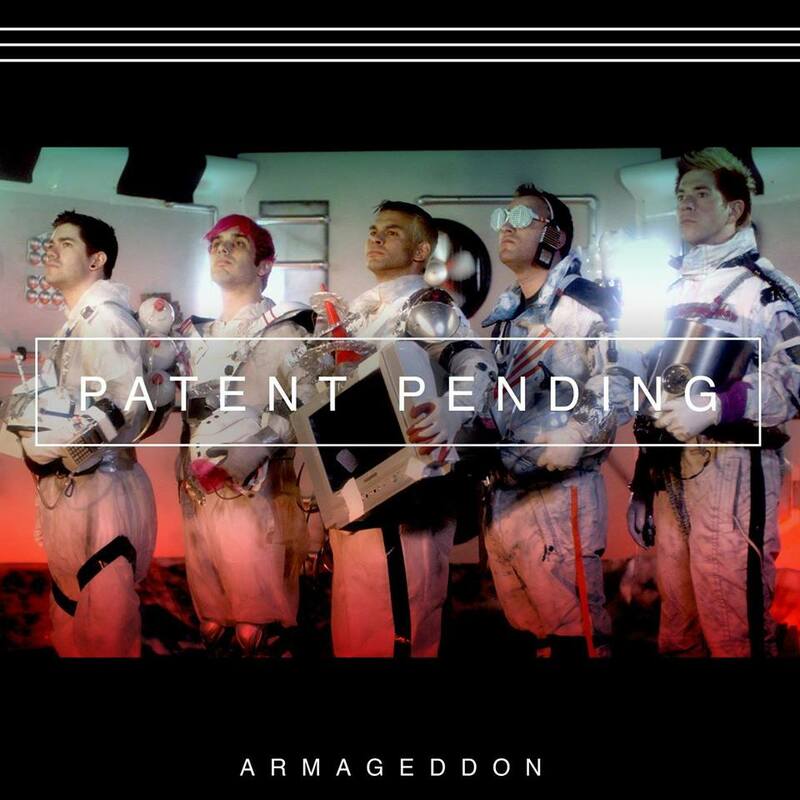 The title of the EP itself actually comes from a little tradition Marc and Rob (the bands two guitarists) have of watching the film Armageddon on every single tour they’ve been on since 2010. The lads are known for their songs being incredibly catchy but this latest release propels that expectation, from the first play the songs are caught in your head, making you tap your foot and bob your head. The EP comes after the lads played British festival slam Dunk (an amazing display and set despite complications!) and has their fans going wild. It opens on ‘Too Much To Think’ which with its booming drum beat and powerful lyrics is a brilliant opener, especially with the little cheer section towards the back end of the song! Following that is ‘The Way I See It’ which features an acoustic guitar accompanied with slightly quieter and more relaxed lyrics, it’s a wonderful song which might make some think of it as being a song written fora loved one, possibly even lead singer Joe Ragostas’ little daughter, with lyrics like ‘it’s true, that all I need is you’ and ‘I need a little more time staring into those eyes’. Third on the album is ‘Tick Tick Boom’ which presents a bit more bouncy and upbeat side to the album, but still has hints towards another possible love song, or even about missing someone. Next up is ‘We’re Getting Weird’, which with one of the first lines being ‘pew pew’ definitely lives up to its name. This song is slightly more towards the rap side of music with a pop punk background, including a few lines showing an adaption of Drakes ‘Started a From The Bottom’ and of course we have the hint of ‘Donkey Kong’ linking back to the lads alter egos ‘Mario and the Brickbreakers’. Finally we have the classic track ‘Brighter’ to finish the album, an absolute fan favourite and such an uplifting song, there’s a lot of feeling in this song, especially from Ragostas’ lyrics.